CarGurus has 961 nationwide ATS Coupe listings starting at $13,400. The Coupe is a new ATS body style for 2015 with a touch of advanced technology over its compact sedan brother, but it's otherwise just a better-looking twin. Cadillac's new badge and 4G LTE technology make their debut in the Coupe, which is the first 2015 Cadillac scheduled to arrive. That new badge comes boldly forward on a statuesque grille without the olive-branch-like wreath, perhaps as a sign to the established European makes that the kid gloves are off. This is just one part of a coordinated release of several all-new sporty models for 2015. The ATS-V (reviewed separately) is also all-new for 2015, for example. Since it is a scheduled redesign, having been around the refresh-redesign block, the ATS-V offers a preview of what's to come for the ATS and its new Coupe, which will come up on their very first refresh in 2016. Basically, the ATS is slowly positioning itself to take over the compact sport-luxury segment. Apparently focusing on technology and options for now, we can look forward to continued innovations in performance over the next few years. The suspension is where it needs to be, handling, too—but if Caddy wants to rub noses with the big boys, it needs a 4-second entry-level compact. That said, the Coupe doesn't just lose 2 doors. It also shaves off that lackluster 2.5-liter engine from the regular ATS sedan, preferring instead to offer just the 2.0T 4-cylinder turbo and 3.6-liter V6 across the same 4 trims; Standard, Luxury, Performance and Premium. The only other significant difference is that the ATS Coupe uses CUE (Cadillac's infotainment system) powered by 4G LTE cellular connectivity. These engines come with a little torque bump over the sedan versions—15 more for the 2.0T, putting it at 272 hp and 295 lb-ft of torque; and just 1 more out of the V6 for 321 hp and 275 lb-ft of torque. The change might improve the 0-60 mph time for 2.0T models, but shouldn't otherwise do much more to the ATS' dynamics than make it feel faster. 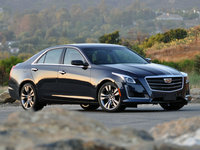 In the sedan, the 2.0T hits 60 mph in 6.3 seconds, with the V6 good for around 5.7 seconds to the same. Both are offered with a 6-speed automatic and rear-wheel drive (RWD) or all-wheel drive (AWD) in the Coupe, but the 2.0T is also available with a 6-speed manual paired with the rear-drive powertrain only. The 2.0T with RWD on a stick does better than the V6, but it gets the worst economy out of the 2.0T for 19 mpg city/30 highway. The automatic 2.0T with RWD sips is rated at 21/31, while AWD is a touch thirstier at 20/29. The RWD V6 does best at 18/28, but AWD versions get only 2 mpg worse on the highway. Features and equipment are not expected to change beyond the Coupe's inclusion of 4G LTE and some special considerations because it is a Coupe, like motorized tracks in those large doors to hand the seatbelt to front riders. So you will still have to opt up to the Luxury trim for features like keyless entry and ignition, leather upholstery and memory for driver's settings. 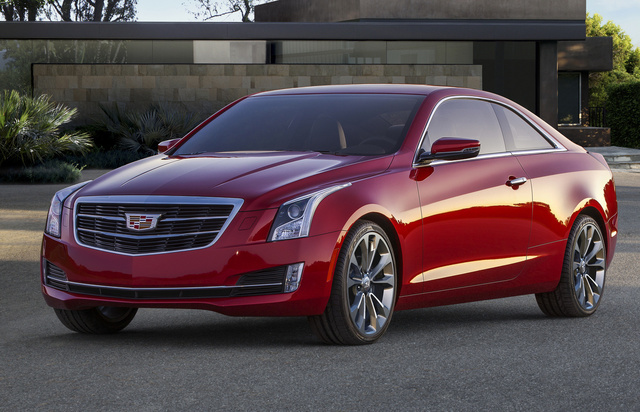 What's your take on the 2015 Cadillac ATS Coupe? Users ranked 2015 Cadillac ATS Coupe against other cars which they drove/owned. Each ranking was based on 9 categories. Here is the summary of top rankings. 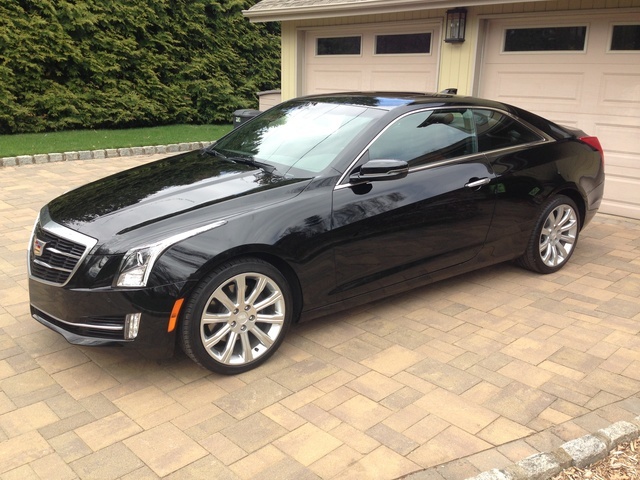 Have you driven a 2015 Cadillac ATS Coupe? Dead Battery No Trunk Access.